Is this query correct? Something going wrong with getting MAX value. The the left join would have worked if you switched the tables around. Uhm I tried changing the method (post) but nothing change. In the image what happened. The status is canceled. When I insert that line the status is canceled furthermore the alert and the redirect don't work, even if the insert works well with the DB MySQL. It's not good to take some message in the URL and show it right on the page: anyone could repurpose that message to show whatever they wanted. You'd have to do some sort of validation, "is this message okay", and that's ~difficult~. How are people getting to this page.php? Can you use a form for it? You could POST a piece of data (not a message), like whatever this thing that they found is, then page.php can look for the form data and display the message (which it figures out in its own). I want it show something like "You found this *item here*." and have it show a picture with it - without the page messing with my layout. Is that bad or something? If you ever need functions like MAX or SUM or COUNT and you don't want to count the entire table at once then you need a GROUP BY clause. If you want to select a column and then use those functions on others, you should probably be GROUPing BY that first column. Ok never mind. I got it. I had to use an INNER JOIN. I had also made an error above, the Status column was set to "Won" not "Sold". Thanks for helping me get on the right path. ON Prospects.ProspectID = Deals.ProspectID AND Deals.PIGLead = 2 WHERE Deals.Status = 'Sold' So... the ON line works sort of, but it lists clients that nothing was sold to. So I tried the WHERE above and now nothing comes up. LOL. Ok, so I was on the right track. I wrote this code: SELECT Prospects.ProspectID, Prospects.FirstName, Prospects.LastName, Prospects.Address, Prospects.Address2, Prospects.City, Prospects.State, Prospects.Zip, Deals.ProspectID, Deals.Product, Deals.Price FROM Prospects LEFT JOIN Deals ON Prospects.ProspectID = Deals.ProspectID So this works. But how can I narrow it down to just like WHERE PIGLead = 2 ? I now see why Union does not work, there would not be an equal amount of rows returned (if I'm understanding this correctly). I've been reading so many websites about LEFT JOIN, and now UNION, so before I go off on a major rabbit trail please help me figure out which is best by telling you what I want to accomplish. I'm going attach two images of my tables: The first table is called Prospects, and the 2nd table is simply called Deals. I'm going to try to write what I want in a non working version of code, but I hope it will translate what I want better: Under Table Deals, the field Status must be equal to "Sold" Under Tables Deals and Prospects, the ProspectID must match Under Table Deals, the PIGLead must be equal to 2 I want the table to show the Prospect information (name, address, phone, etc), then under the Prospect information, I want to see the deals sold to them where Status = "Sold". I want to see the Product and Price. Best method? For a regular index, that "col2" would be the name of it. For a primary key (which I forgot was different) that doesn't use a name, that "col2" would be the index type. Of course "col2" and "merchandise" are not valid index types so I would have expected at least a warning. And I don't have a MySQL lying around to test with. So I'm thinking it's (accidentally?) ignored for sake of compatibility with other types of indexes. No -- no warnings. I created the tables with both "primary key col2 (col2)" and "primary key (col2)" and there were no warnings. Then I tried the "alter table" syntax after dropping the primary keys: "alter table Table1 add primary key col2 (col2)" -and- "alter table Table1 add primary key (col2)" ... and neither of those gave any warnings. For all intents and purposes, they seem 100% identical. Perhaps in the olden days the "...primary key col2 (col2)" was how it used to be done, then it got deprecated and now "...primary key (col2)" is how it's done today, with both commands having the same effect. What are your thoughts? 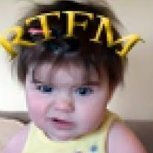 Where there any warnings with the "ALTER TABLE mytable ADD PRIMARY KEY merchandise (merchandise)" statement? Are you sure? What was the output? I did -- I did "show index from Table1" and the result was identical to "show index from Table2." Okay, so I thought a SHOW CREATE TABLE would include the indexes. Do the other SHOW INDEX FROM.